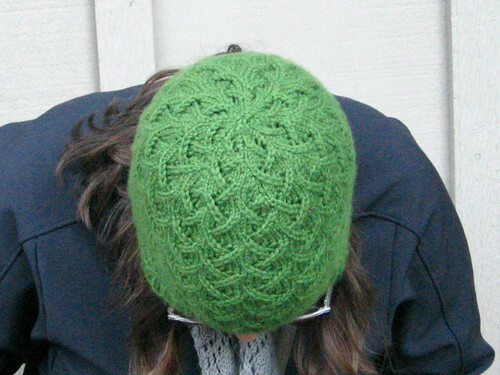 I actually finished my lotus hat several weeks ago, and even got Lawson to take some quick photos of me wearing it, but haven't had time to post about it with all the last minute holiday gift-making around here (more on that soon). I am really happy with how the hat turned out, the yarn (Knit Picks Capra) is so soft and comfy with the cashmere - not at all itchy. As I mentioned before, I ended up having to do more repeats than the pattern called for to get it long enough, so the pattern is a bit smaller scale than as written in the pattern, but I love how it looks, and now it is long enough to cover my ears, which is key. 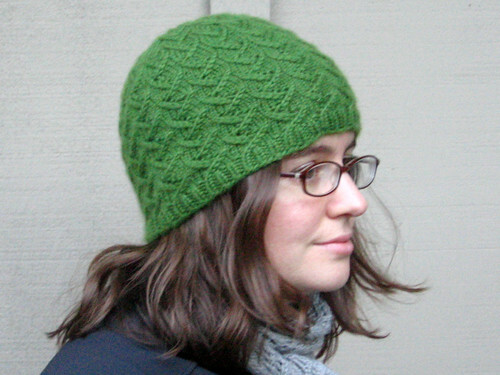 I love the cool pattern the stitches make as they come together at the top of the hat - the charted pattern is really clear and turns out great. 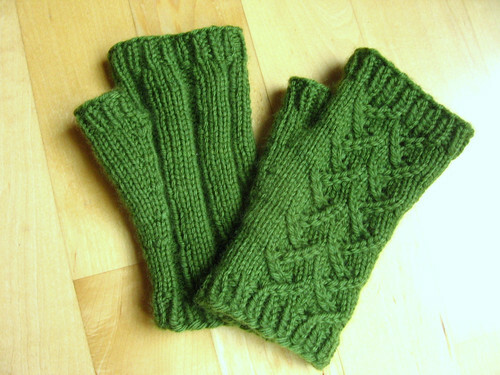 I had bought 2 skeins of yarn and the hat used just a bit more than one, so I was thrilled that I had enough to knit up a matching pair of mitts! 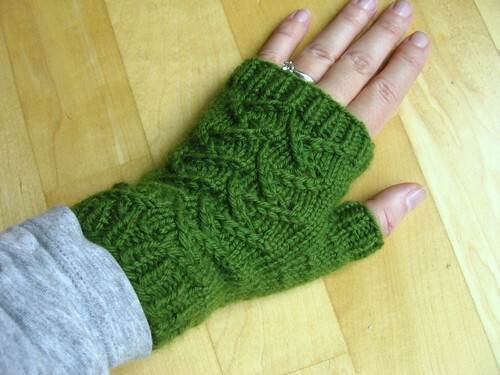 I modified a basic fingerless mitts pattern using the stitch pattern from the hat and also making them longer and adding ribbing at all the edges. Since I finished these up, I have been continuing to knit away - I just finished a hat for Lawson and gave it to him for Christmas, so I'll be sure to show you that once I get a picture of him in it. And I just cast on for this cowl/infinity scarf for myself in a grey gloss DK (also lovely and soft) - it is knitting up pretty quickly, I can't wait to finish it up and get to wear it! Amazing work! What a pretty way to keep warm! This is beautiful! I am so in awe of you knitters -- it's magical to me, like you're waving your magic knitting wands and a sweater appears out of thin air (okay, so I know it's SLOW magic rather than instant magic, but still way cool!). The hat is gorgeous, Kate! Great job! Wow those are so pretty! Love the color too! Nice!! Thanks for sharing. Love the colour!! I cannot get enough of that green!! The hat and mitts are just lovely. Wow, these are both great-- I love the color, and the it's such a good choice for the pattern because it looks so nature-inspired. Plus, the fit looks perfect!